This post has nothing to do with the nineteenth century—very much not. But it's still about history, albeit in slightly different way from what we usually do around here. I’ve been in my town for almost thirty years now (gulp!) And practically every day of those thirty years—at least, the days when I’m not wearing tatty sweats and hunkered down in front of my computer writing books—I drive by a large Raytheon plant located on one of the main roads through town. Raytheon is a high-tech and defense contractor headquartered in Massachusetts, so yeah, it’s no big deal, it being there—it has been since the 1950s. I know people who’ve worked there, and kind of wished my engineer husband had decided to work for them because then he’d have a 7-minute commute and not the 55-minute one he’s had for years. 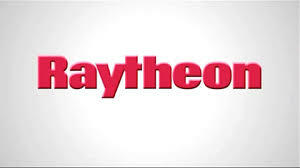 In 2014, Raytheon announced it would be closing this plant and merging operations with another Raytheon plant just down the road in the next town. It makes perfect sense, of course—why operate two separate plants within 5 miles of each other? And my town is working with developers to use the 50-acre plot of land on which the plant is located to build affordable housing units and apartments for the elderly as well as a vibrant new shopping center. It’s an excellent use of the property and will be a wonderful addition to the town. So, some of you might know I’m a closet space nut. 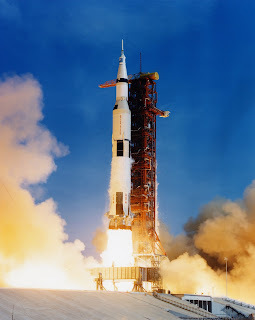 It started back when I watched Neil Armstrong walk on the moon a few days after my birthday as a small child...and after that, I watched for news of every Apollo launch and paid attention, at least as much as an elementary school kid does. Even now, I haven't lost my fascination for space exploration. Bear with me, now. There is a point to all this meandering. I drove by the old plant this morning on my way to my gym as usual and saw that they’re really moving along with the tear-down. And as much as I applaud this new use for the property, it made me sad. Because that Raytheon plant was where the guidance computers for the Apollo spacecraft were made, in conjunction with engineers and scientists from MIT. Right here, in this town. And while something new and wonderful is being built, we’re also losing a place where a little bit of history was made—at least to me, a grand and exciting bit of history. And the point of all this? Don’t forget that history is something we live, before it ever becomes history. I’m sure the scientists and engineers still around from those heady days in the 1960’s at Raytheon are thinking that about now. I know I am. Okay, I'll go back to the nineteenth century (well, early twentieth, for now) and stop philosophizing.